Get comprehensive, up-to-date guidance to meet the demands of governing entities. 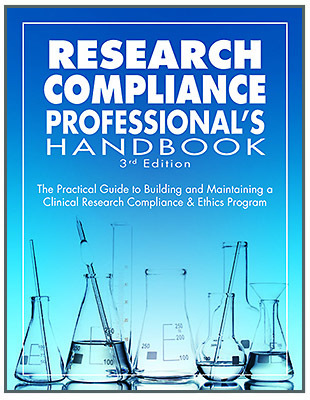 Written by clinical research experts, this handbook can help you cultivate an effective research compliance program. Purchase the print handbook and online access.